Mobile light detection and ranging (LiDAR) systems represent a new level of automation and accuracy for surveying roads, including route inventory, bridge structures, bridge clearance and highway-pavement surveys. Vehicle-mounted laser scanner systems have significant advantages over traditional mapping methods, including improved safety for surveyors, faster survey speed and a minimal impact on traffic flow. 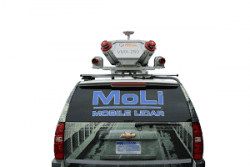 This brief guide includes some of the mobile LiDAR sensors, systems and services on the market. Product descriptions were provided by the vendors. 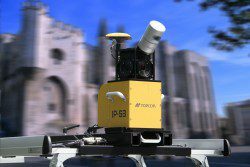 These companies provide laser scanners that are integrated into mobile LiDAR systems and platforms. 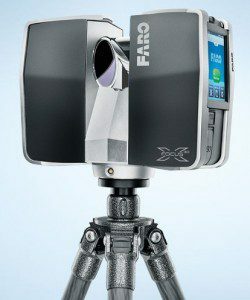 Faro touts its Focus3D X 330 laser scanner as the smallest and lightest on the market. The scanner offers a long-range (330 meters) sensor, an integrated Global Positioning System receiver and the ability to scan even in bright sunlight. The company doesn’t offer a mobile mapping option, but others have adapted the Focus3D X 330 and other Faro scanners for mobile applications. ATLANS-C is a high-performance position and orientation solution for air and land mapping applications. 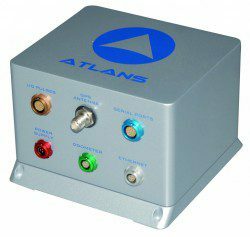 With its integrated INS-GNSS smart coupling technique, small size, light weight, low power consumption and robust design, ITAR-free ATLANS-C provides all the necessary data for demanding aerial survey and land mobile mapping applications. Pavemetrics sensors help infrastructure managers optimize their maintenance strategies and budgets as well as improve asset performance and safety through fast, accurate and automatic condition evaluation of transportation infrastructure. The company’s automated inspection technology is designed for daytime and night-time operation, with sensors producing high-resolution 2-D images and 3-D profiles of transportation infrastructure. PSI’s primary product, the Pavement Profile Scanner, is a polygon scanner with six sides used to point the LiDAR measurement beam at points along a straight line on the pavement, thereby scanning a line and generating the profile along the line six times per revolution of the polygon. Operating at 10,000 rotations per minute, the system generates 1,000 scans per second. With the scanner mounted seven feet above the pavement, the ±45-degree field of view produces a profile 14 feet long (twice the height). 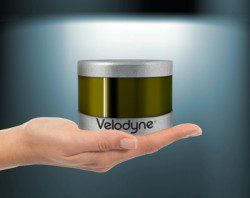 Velodyne recently announced the VLP-16 (also known as the LiDAR Puck), a 16-channel real-time LiDAR sensor costing only $7,999 and weighing in at a scant 600 grams. This makes it substantially smaller and significantly less expensive than previous-generation sensors. With its full 360-degree horizontal field of view by 26.8-degree vertical field of view, 5-15 Hz user-selectable frame rate and more than 1.3 million points per second output rate, Velodyne’s HDL-64E provides dense point clouds. The HDL-64E’s patented one-piece design uses 64 fixed-mounted lasers to measure the surrounding environment, each mechanically mounted to a specific vertical angle, with the entire unit spinning. Velodyne’s HDL-32E LiDAR sensor is small, lightweight, ruggedly built and features up to 32 lasers across a 40-degree vertical field of view. The HDL-32E measures only 5.7 inches high x 3.4 inches wide and weighs less than two kilograms. The HDL-32E generates a point cloud of 700,000 points per second with a range of 70 meters and typical accuracy of +/- 2 centimeters. The integrated camera in the Z+F IMAGER 5010-C combines high-resolution color imagery with high-resolution scan data. The scanner captures more than 1 million points per second at a range of 187.3 meters. Because of the high data-capture rate, Z+F laser scanners operate accurately even from mobile platforms at speeds of up to 120 km/h (approximately 75 mph). These companies provide integrated mobile LiDAR systems with laser scanners and positioning systems. Some of the systems provide integrated color spherical imaging for city modeling. 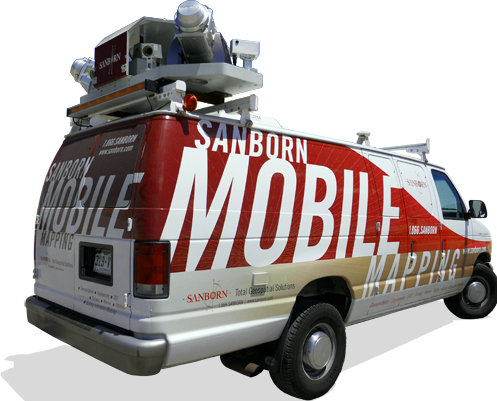 This portable system combines calibrated imagery (with a full spherical eight-camera capture for city modeling) with the accuracy of a point cloud at vehicle speed. The system is enabled by a complete software workflow, including data acquisition, calibration, Novatel-enabled post-processing, object extraction, and GIS-enabled configurable layered storage. 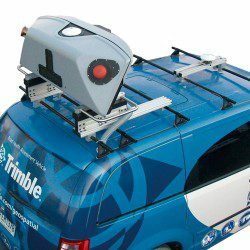 The system is designed to be mounted on any vehicle. This configurable mobile platform supports Velodyne (HD32, Puck), FARO and Z+F laser scanners along with 360 imagery (GoLook, Ladybug). ScanLook incorporates INS solutions from NovAtel, IXBlue, OxTS, SBG and others. Platforms include any ground vehicle (car, cart, ATV), boat, rail, helicopter and UAVs. 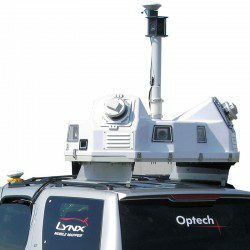 The Optech Lynx SG1 captures precise image and survey-grade LiDAR data at 1.2 M points per second at highway speeds. Real-time 3-D previews and data verification is built-in, with serious professionals valuing the simplicity, high automation productivity and dramatic cost savings of the LMS workflow software. Achieve INS drift control and accuracies impossible with “factory boresighted” systems. With its single sensor head, the MG1 is Optech’s lower-cost option for projects requiring lower absolute accuracy. It has a 500-kHz, 360-degree field of view, 200-Hz LiDAR sensor that maintains 5-mm precision. The VMZ Hybrid Mobile Laser Mapping System enables combined static and kinematic data acquisition using a single RIEGL VZ-400 or VZ-1000 laser scanner, which lowers costs. The system offers flexible setup, easy mounting and user-friendly workflows. The VMX-450 Mobile Laser Scanning System offers high measurement rates, providing dense, accurate and feature-rich data even at high driving speeds. 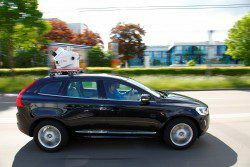 The roof-carrier-mounted measuring head integrates two RIEGL VQ-450 laser scanners and positioning equipment under an aerodynamically shaped protective cover. The camera platform allows users to mount and set up as many as six digital cameras. 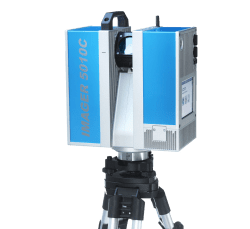 The IP-S3 fully integrated high-density digital imaging system is more compact, lightweight, and designed to scan at a rate up to five times faster than previous models. Scanning at 700,000 points per second, the system is designed to offer data-rich results with its 30 megapixel panoramic imagery. The MX8 dual laser scanner system with 360-degree field of view collects more than 1 million points per second. The system captures fully synchronized, high-quality georeferenced point clouds and high-resolution imagery. Its POS LV positioning and orientation system delivers position updates up to 200 Hz with high-accuracy results. These companies provide mobile LiDAR services or allow for rental or partial ownership to reduce entry costs and the risk of technological obsolescence. 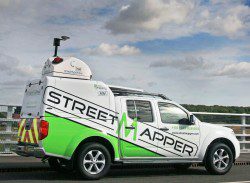 StreetMapper is a joint venture between 3D Laser Mapping and German guidance and navigation specialist IGI. StreetMapper is a dynamic 3D mapping system that uses one or two RIEGL scanners combined with a precision navigation system and advanced data processing software. StreetMapper 360 offers a 360-degree field of view, a range of 300 meters and a capacity of 300,000 measurements per second per sensor, delivering high-precision performance and coverage. EMC uses the RIEGL VMX-450 mobile LiDAR system to quickly and safely collect roadway features. EMC also uses the system for surveying and engineering measurements, as-built surveying, road and bridge modeling, and any civil engineering project where clients need fast, accurate data. 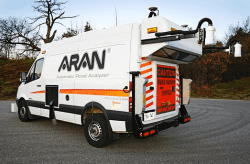 The Automatic Road Analyzer (ARAN) is an advanced pavement data collection vehicle equipped with precision survey systems and software able to perform any roadway data-collection task. ARAN can measure more than 15 different datastreams continuously and at varying capture rates in a single pass at traffic speeds. R.E.Y. 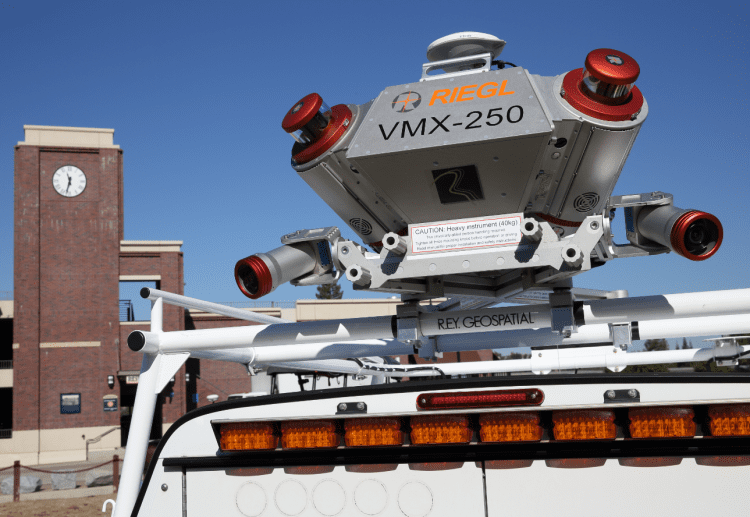 Engineers acquired the first Riegl VMX-250 sold in North America in 2010. Since then they have completed Mobile LiDAR acquisition, processing and extraction projects from Alaska to Florida, Rhode Island to Southern California, and as far away as Karratha, Western Australia. Their services include control surveys, Mobile LiDAR acquisition/processing, data extraction and preparing traditional CAD/CAE deliverables for the end user. experience with all types of road, route and as-built survey projects to support transportation infrastructure. The company uses the Optech Lynx Mobile Mapper M1 system as part of its broad inventory of advanced surveying and mapping technologies. 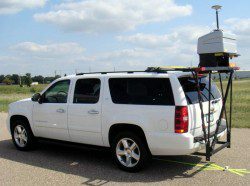 Mobile LiDAR is just one of the many services provided by SSI. The company uses the RIEGL VMX-250 system to collect detailed topography, asset management and precision survey data at highway speeds. Terrametrix uses StreetMapper terrestrial mobile LiDAR scanning tech-nology to provide clients with survey accuracy at highway speed and at traditional surveying costs. For more than 10 years, Woolpert has provided geospatial services to support clients around the globe. 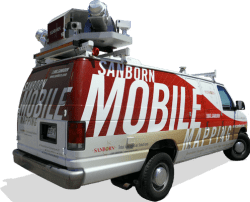 Since 2009, the company has been providing industry-leading mobile mapping services to design firms and Department of Transportation clients as well as our internal bridge and road designers. 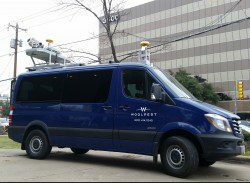 Woolpert has collected more than 10,000 miles of mobile LiDAR.